Each year Texas property owners are faced with their annual property tax assessment. For many Texans’ this bill can come at bad time, normally arriving around the holidays when already a tight budget can be strained. Many consider borrowing money to pay this bill, but in a sea of lending options it is important to make the right choice. Fortunately, homeowners in Texas who are facing a large property tax bill do have choices. While the state is often known for its low taxes, it has the 2nd highest property tax rates in the country, and taxing entities employ high penalties and fees for late payment to enforce collection of these taxes. In response to this situation, a product has been created to help homeowners satisfy this tax burden without going into default or suffering penalties. It is called a tax lien transfer or property tax loan,, and the way it is secured differs from a more traditional loan, lowering the risk to both borrowers and lenders. In Texas, property taxes are due as soon as the bill is received, and are considered delinquent in February of the following year, at which point interest and fees start to accrue. If the property taxes are not paid by July 1st, attorney fees and additional interest and penalties are added, and tax lawsuits are often filed, increasing fees yet again. In a single year, a property owner’s obligation can increase by as much as 50%. Also in Texas, a lien is automatically put on every property January 1st to satisfy any property tax assessments associated with the property. This is the priority lien, so it takes precedence over other liens and almost any other financial obligation the property secures. If a home owner were to sell their home, the taxing jurisdiction would get the first portion of the proceeds of the sale until the property taxes and any additional fees were paid in full. If left unpaid long enough, the tax assessor, through their attorney, can foreclose on the home, forcing it to be sold to pay the debt owed. However, Texas law allows a third party to pay off a property owner’s taxes to prevent the delinquency, default, and possible foreclosure. Owners take advantage of this law by utilizing property tax lenders. The homeowner authorizes the transfer of the lien to the lender, who pays their property taxes on their behalf and accepts monthly payments until the balance is paid. The lender is protected because their lien takes the place of that of the taxing entity. It becomes the first priority lien on the property so that if the homeowner were to default on their property tax loan, they would still be assured of payment. The loan obtained through the lien transfer offers lower interest rates, limited penalties, and an opportunity to refinance if hardship is encountered. As the property tax lending industry has gained popularity in Texas, the legislature has responded by ensuring lien transfers are regulated to protect consumers. This includes imposing maximum closing cost fees and maximum interest rates. Competition in the property tax lending industry has grown as well, and as a result there is a certain amount of self-regulation. Since customers have choices, lenders must compete for their business. Instead of charging the maximum interest allowed, they offer lower rates to entice property owners to work with them. 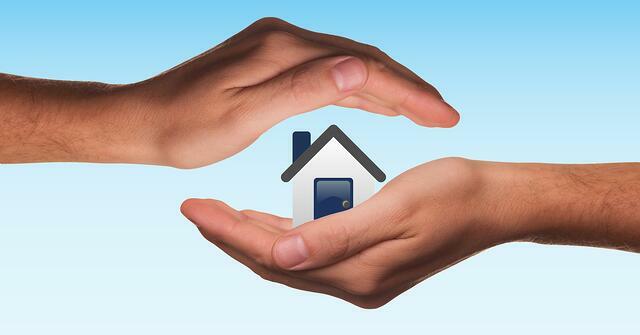 All of these factors work together to protect homeowners and their property rights. Lien transfers offer them a property tax lending option to prevent high interest, fees, and possible foreclosure by taxing entities. Foreclosures by property tax lenders are extremely low, less than 1 out of every 250 loans, according to the Office of Consumer Credit Commissioner. Property tax lenders can offer payments that property owners can afford, and if the homeowner gets behind, they can normally negotiate a new payment plan and work with them to keep them in their home. Competition and regulation both keep interest rates and closing costs low, making the tax lien transfer a viable option for homeowners to meet their property tax obligations, in turn, saving those who utilize this service, thousands of dollars every year.